Cell borders are useful in spreadsheet applications for providing a visible outline around cells of importance, or when you are printing your spreadsheet. But your needs for cell borders may change over time, or you might be working on a spreadsheet that has borders, but doesn’t need them. 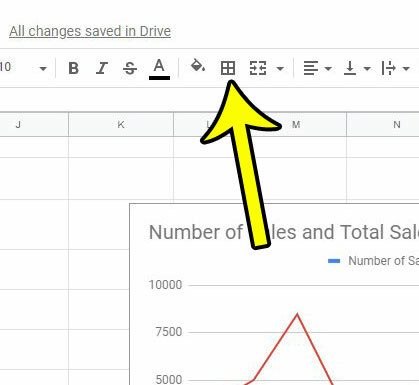 Fortunately borders can be removed in Google Sheets, in a manner similar to how they were originally added. 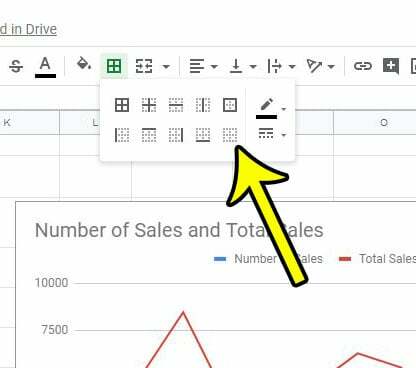 Our tutorial below will show you how to get rid of borders on a selection in Google Sheets and restore the selection to its original border-less state. How Can I Delete Cell Borders in Google Sheets? The steps in this guide were performed in the desktop version of Google Chrome. You can also complete these steps in other desktop browsers like Edge or Firefox. Step 1: Sign into your Google Drive at https://drive.google.com and open the Sheets file containing the borders you wish to remove. Step 2: Select the cells containing the borders to remove. Step 3: Select the Borders button in the toolbar above the spreadsheet. Step 4: Click the No borders option from the dropdown menu. Do you need to apply fill colors to your spreadsheet, but you want to make them alternating in color? 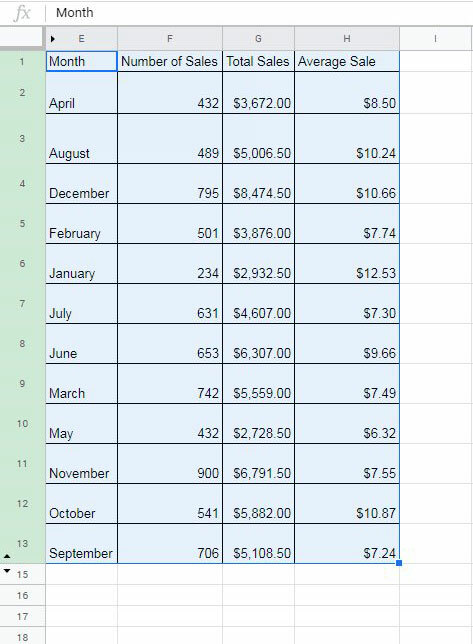 Find out how to create alternating fill colors in Google Sheets for a professional-looking spreadsheet that is easy to read.